The Missile Defense Agency has awarded contracts to seven companies and a nonprofit organization to further develop their respective hypersonic weapon concepts. 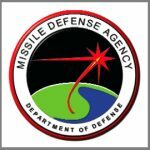 MDA said in a FedBizOpps notice posted Thursday contractors will work on their proposed kinetic and non-kinetic hypersonic glide and terminal defense weapon systems through the contracts worth $1M each. Work will take place at the contractors’ facilities through Feb. 28, 2019. MDA awarded the contracts through a competitive procurement process and will obligate $227.5K in fiscal 2018 research, development, test and engineering funds to each awardee at the time of award.